This milestone year has passed by with notable achievements, and all because of staff’s devotion to IITA. The year 2017 was outstanding and unique with the Golden Jubilee celebration as the center of all our activities̶–it was indeed a colorful celebration that. The year 2017 has been quite eventful and filled with achievements! 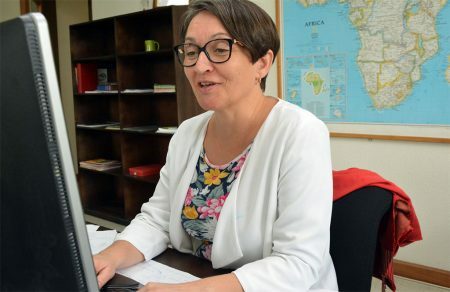 High on the list is the celebration of IITA Golden Jubilee with the series of activities that culminated in an awesome R4D week and the 50th Anniversary Science Conference on food security challenge for the next 50 years. 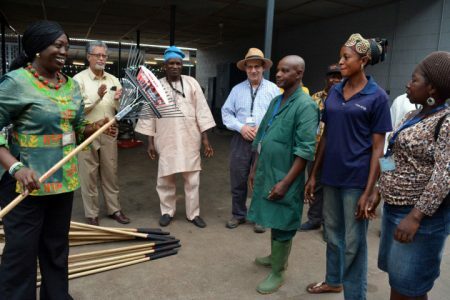 This greatly enhanced the visibility of IITA within the African region. This was quite a year and it flew by! This was the year of our 50th year anniversary celebration. We had a lot to celebrate as we have achieved much over the last 50 years. Without you, the staff, these achievements would not have been possible. A new dawn is knocking with so much optimism as the new year is almost here. 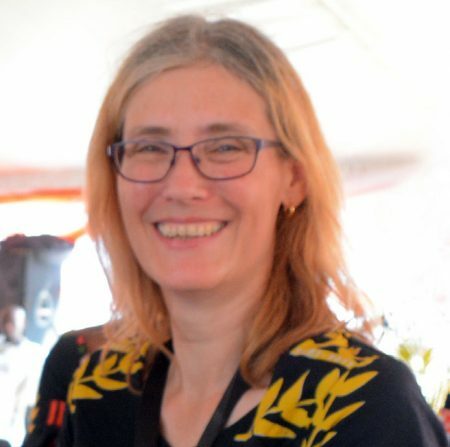 We have had so many reasons to celebrate 50 years of outstanding research and now the new Partnerships for Delivery (P4D) Directorate in partnership with Governments, the private sector, NGOs, and IITA’s R4D is ready to play a significant role in Transforming African Agriculture. The IITA Board of Trustees (BoT) has approved the new work-life balance policy during the board’s annual meeting in November 2017. 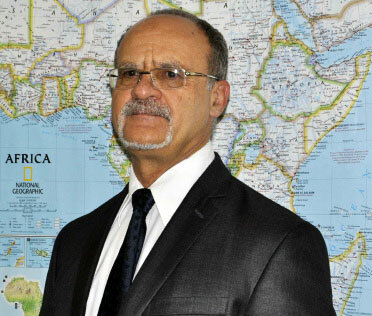 This is according to the board’s 2017 full report delivered by the chairman of the board, Dr Bruce Coulman when he visited the IITA Central African Hub Coordination office in Nairobi on 27 November. 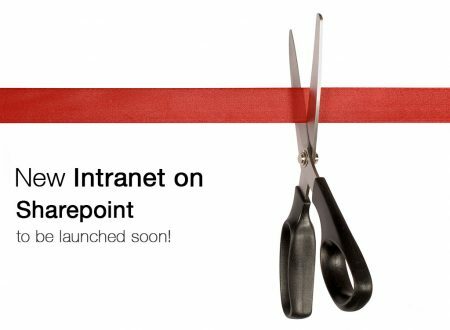 New Intranet on Sharepoint to be launched soon! To enhance collaboration and internal communication among staff as well as address concerns with the current Intranet, the Communication Unit (CU) and the Data and Information Management Unit (DIMU) wish to announce that the new Intranet on the SharePoint platform will be launched on 22 January 2018. 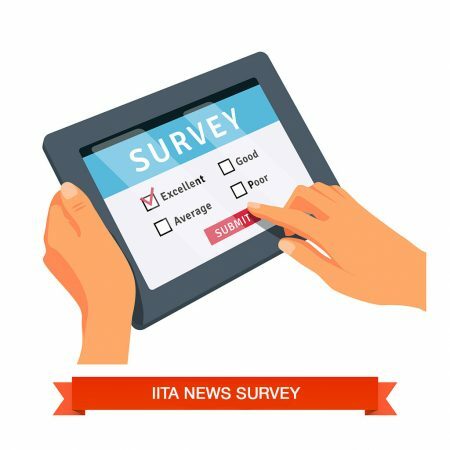 IITA News survey: Tell us what you think! 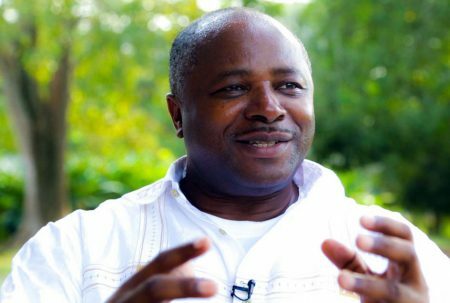 As we approach the end of the year, we say thank you for reading and supporting IITA News. We want to give you a better experience in 2018 and so we request your kind assistance in providing feedback about our newsletter. 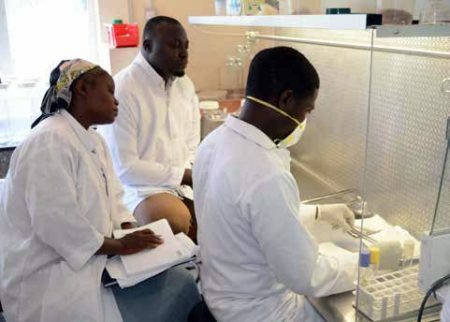 IITA was recently granted a permit to carry out confined field trials (CFT) on genetically modified cassava (AMY3 RNAi transgenic lines). 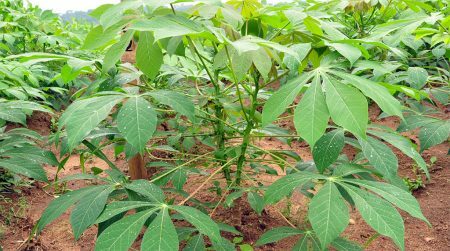 This research, carried out in collaboration with ETHZ Plant Biotechnology Lab in Zurich, aims to reduce starch breakdown in storage roots of cassava after pruning the shoots, prior to harvest of the crop. 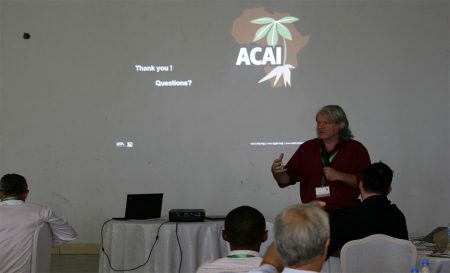 Scientists across Africa and their colleagues in other parts of the world met with policymakers in Tanzania under the auspices of the African Cassava Agronomy Initiative (ACAI) to discuss the progress made in the last two years in providing clues to the agronomy of cassava.